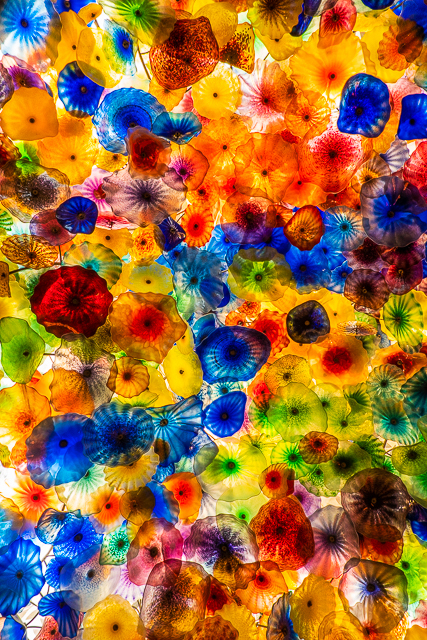 Today I am sharing all about our most recent trip to Las Vegas. 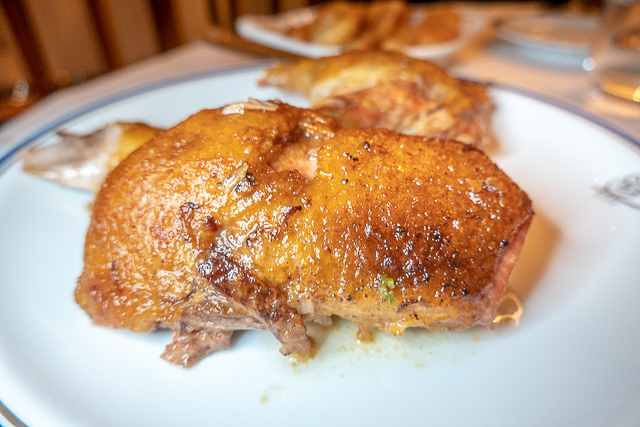 If you follow the blog, you know that Chicken Legs & I LOVE Las Vegas. We especially love Las Vegas during Thanksgiving. It is our holiday tradition to spend the week in Vegas. It isn't crowded and everything is open. It is a really fun and relaxing week. 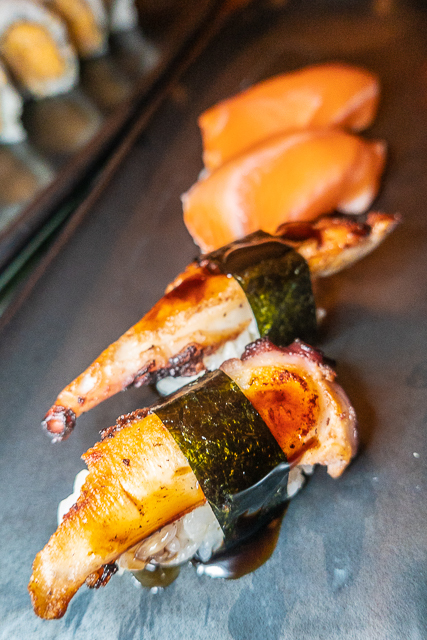 As per our usual, we ate at a mix of favorites and new places on this trip. We found an amazing new steakhouse (the best steak I've ever eaten), a new burger place (I ate the whole thing) and a fancy new Instagram worthy restaurant. I don't know how we are going to fit in new places on our next trip. We have found so many new favorites!!! We arrived in Las Vegas around lunch time. We checked into the hotel and headed straight to Five-50 for lunch. We haven't eaten here in years! It was delicious! We didn't get any appetizers, we just dove right into the pizza! Perfect!!! 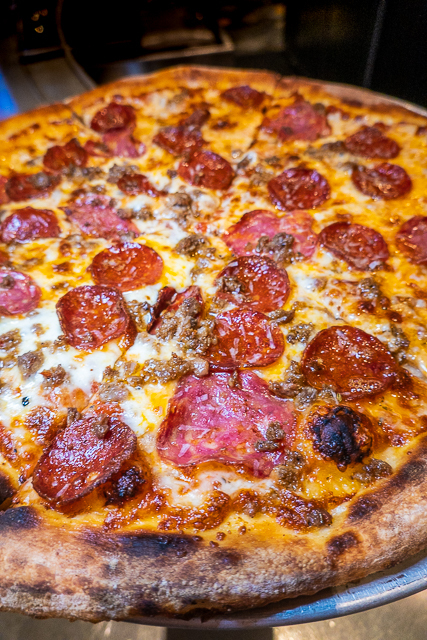 It is definitely one of the best pizza's on the strip. Next time we will check out the whole menu. They have salads, garlic knots (totally getting those), wings, a mozzarella bar (YUM) and pizza. We received a gift certificate to Mastro's, so we decided to give it a try. It has been in The Shops at Crystals forever, but we had never eaten here. 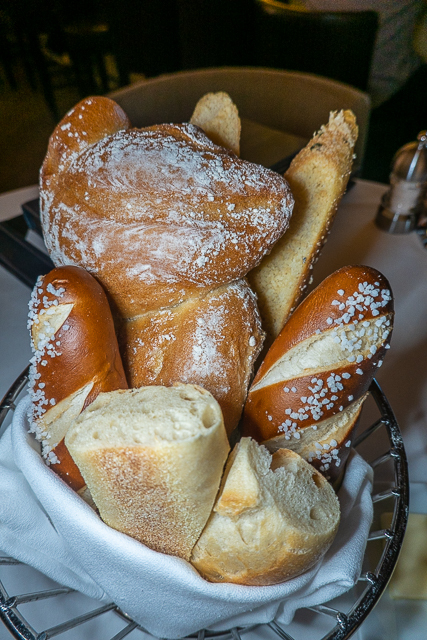 Look at that bread basket! It is reason enough to eat here!! 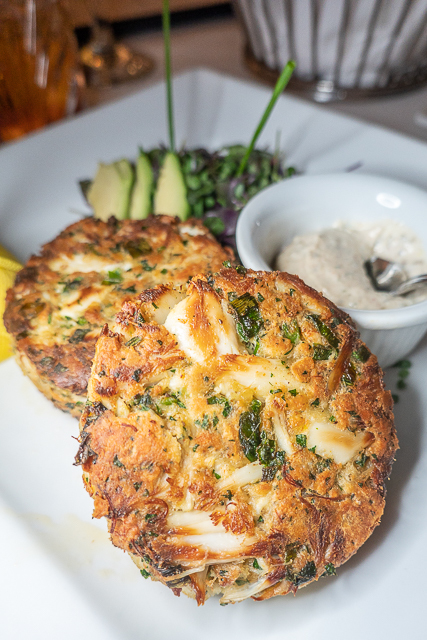 We started with a couple of crab cakes. They were HUGE and delicious! Chicken Legs also got a caesar salad. YUM! For his entree, Chicken Legs got the salmon. He got it blackened. I got a filet. It was cooked to perfection. It was the best steak I've eaten in a steakhouse. I don't usually like steak out, but this one is worth getting! 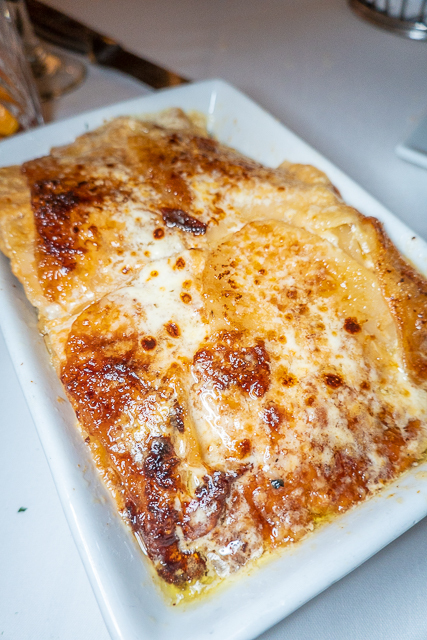 My favorite thing of the whole meal was these au gratin potatoes. We will definitely be eating here on our trip in May. 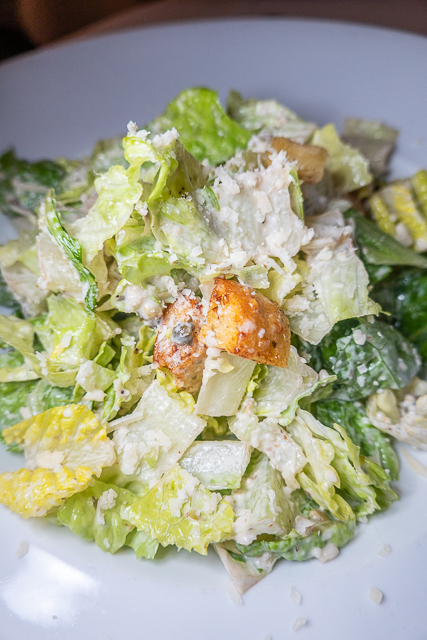 Carmine's in the Forum Shops is one of our favorite places. They have a GREAT happy hour AND you can get small portions if you sit in the bar. Carmine's portions are HUGE to say the very least. They can serve 4 to 6 people. 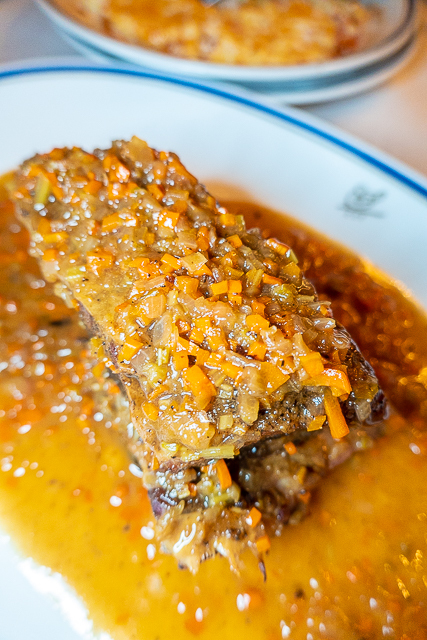 If you sit in the bar, they offer half portions of a lot of the most popular dishes. 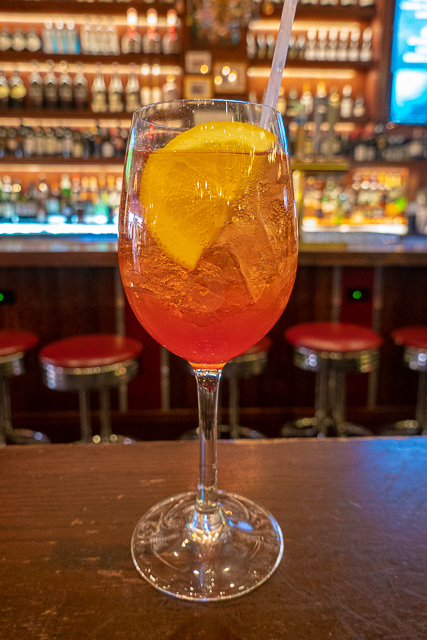 I started with an Aperol Champagne cocktail. I loved it! Why haven't I ordered this before? It is delicious! 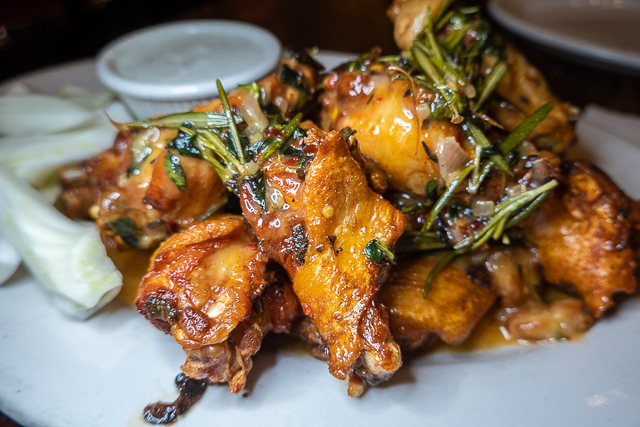 Our favorite thing at Carmine's is the Spicy Scarpariello Wings. The wings have lemon, rosemary and garlic. SO good!! I need to make these at home in my air fryer!! 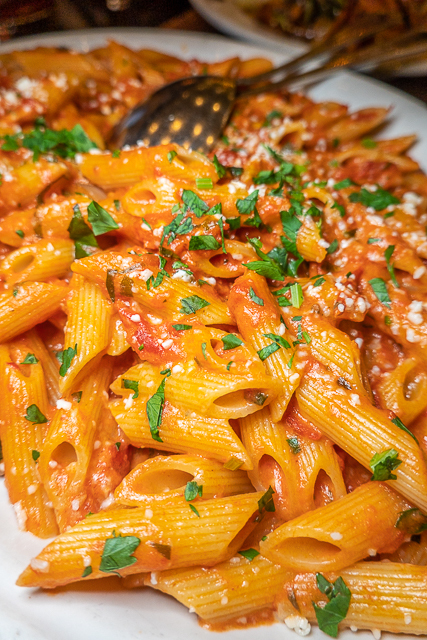 Our other favorite dish is the Penne a la Vodka. They offer a small portion of this in the bar. It is still way too much for two people, but we like it! I wish I had the leftovers now!!! Carmine's is delicious! Check it out. Don't forget our tip to sit in the bar! Perfect for 2 or 3 people! I now know why Buddy V is known as the Cake Boss. We always stop in at Carlo's Bakery for an afternoon snack. We love everything in the bakery. 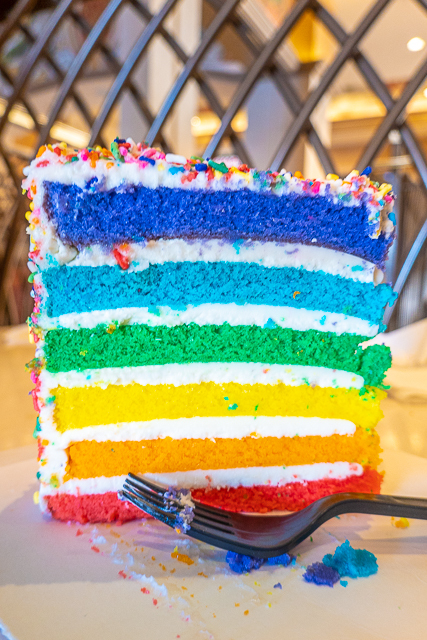 This was our first time having a slice of cake, but it won't be the last! Cipriani had just opened in the Wynn when we were in town. I was excited to eat here since we had just returned from a trip to Italy. 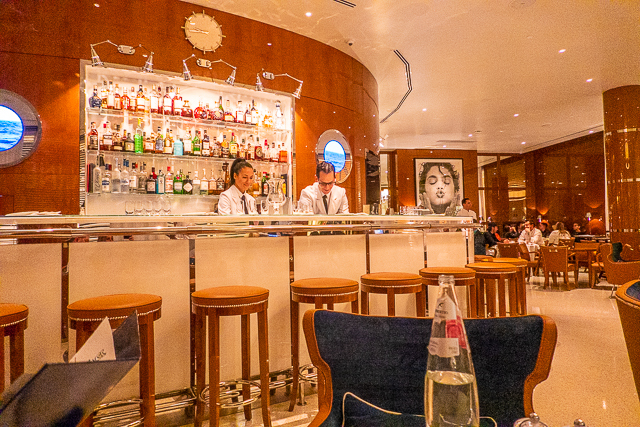 Cipriani is designed to be like restaurants in Venice. They had low table tops, served their drinks in short glasses. 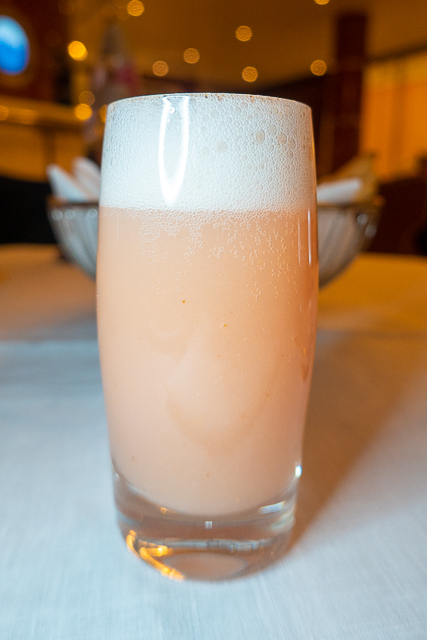 This is the Bellini. It is the same recipe they use at Harry's in Venice. Their martini's are served in frozen shot glasses. 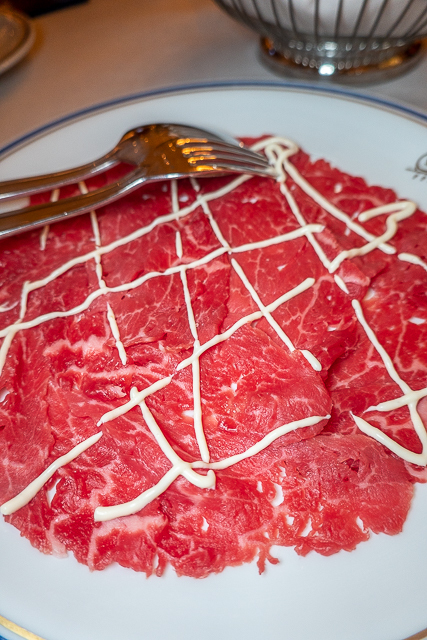 We started with the carpaccio. We love carpaccio and this was delicious. 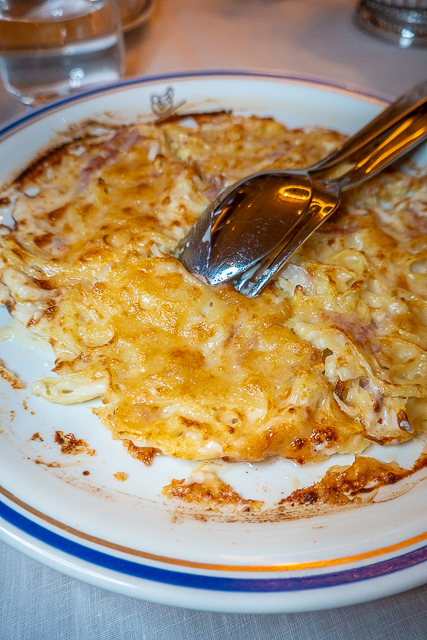 We also shared an order of the ham & cheese pasta - Homemade Baked Tagliolini with Ham. 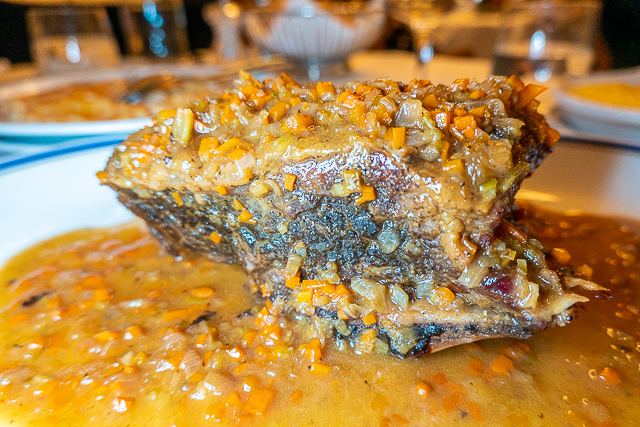 For entrees, I got the Braised Beef Short Ribs "alla Cipriani". 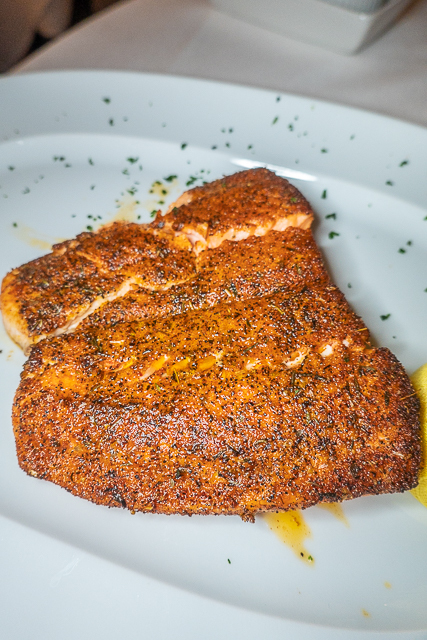 VERY tender and full of flavor. Chicken Legs got the duck special. He loved it. We decided to finish the night with dessert. Our meal at Cipriani was good, but it was REALLY expensive. I didn't think it was worth how much we paid. I have had Bobby's Burger Palace on my list of places to try for YEARS. The burgers were crazy good! They were even cooked to temperature. We ordered them medium and they came out medium. WOW! We shared an order of fries. 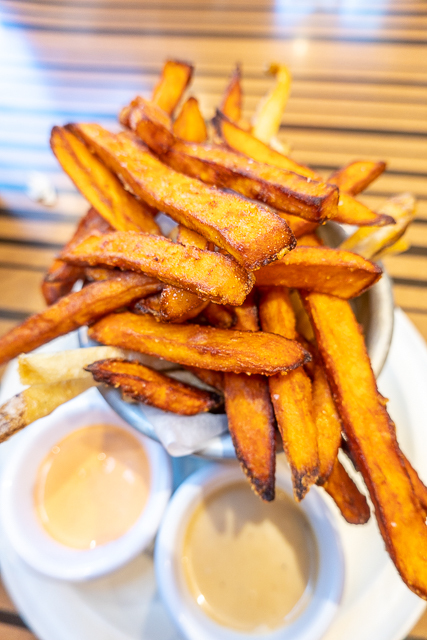 We got half sweet potato fries and half regular fries. I might put chips on all my burgers now! YUM! 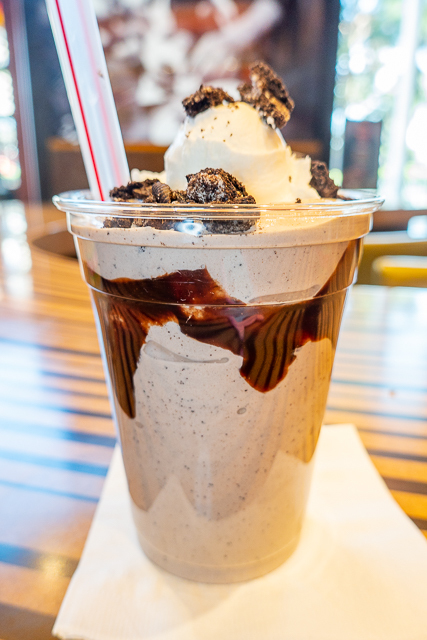 We couldn't leave without trying a shake. 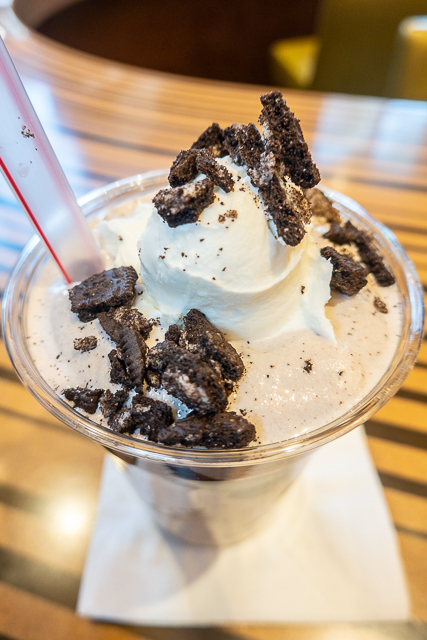 We got the Cookies & Cream shake. I wish there was a Bobby's Burger Palace closer to home! 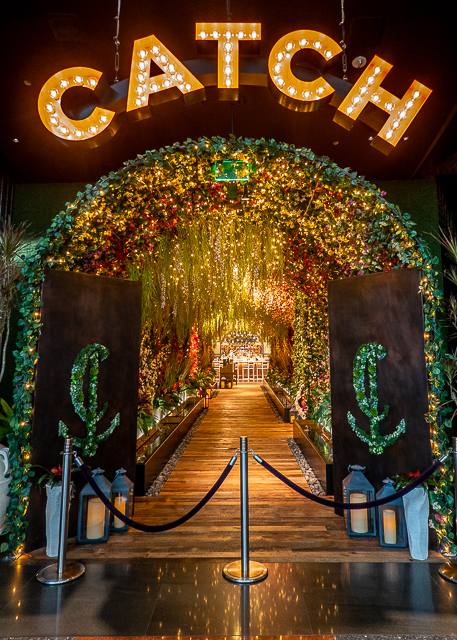 Catch is another brand new restaurant. It has only been open a very short time when we ate here. 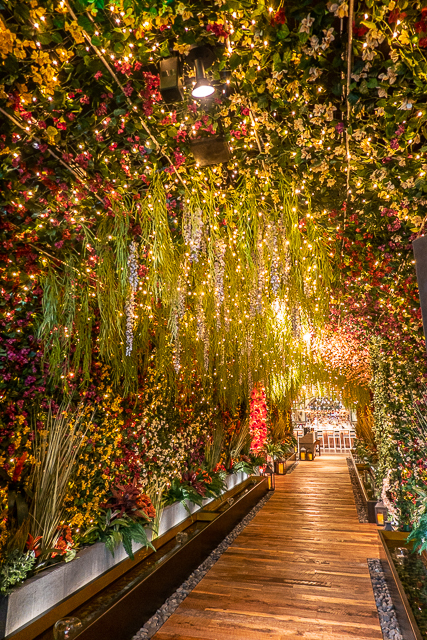 It is hands-down the most BEAUTIFUL restaurant!!! Instagram worthy at every turn!!! 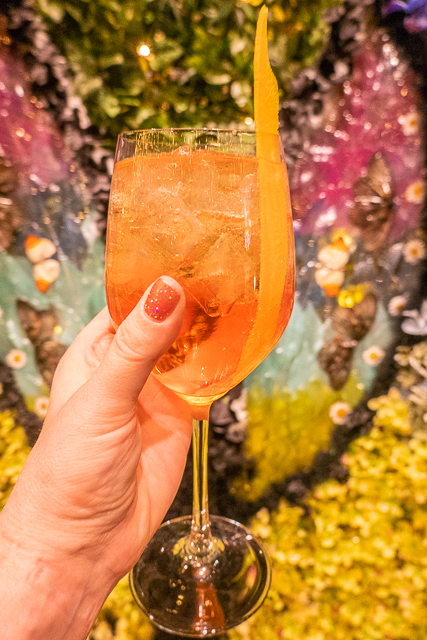 I HAD to take a pretty cocktail photo in the flower walkway. 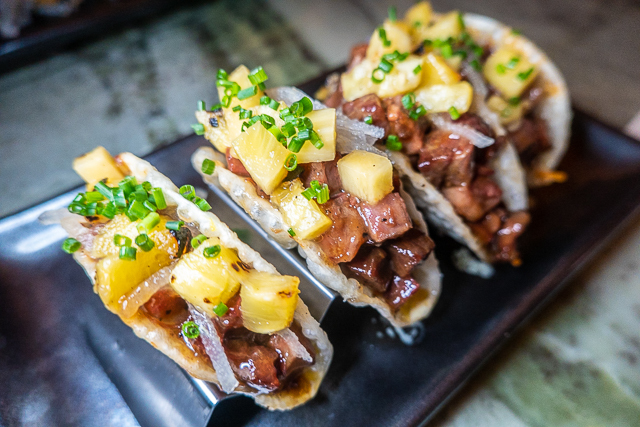 Catch has a little bit of everything on their menu - sushi, chicken, steaks. 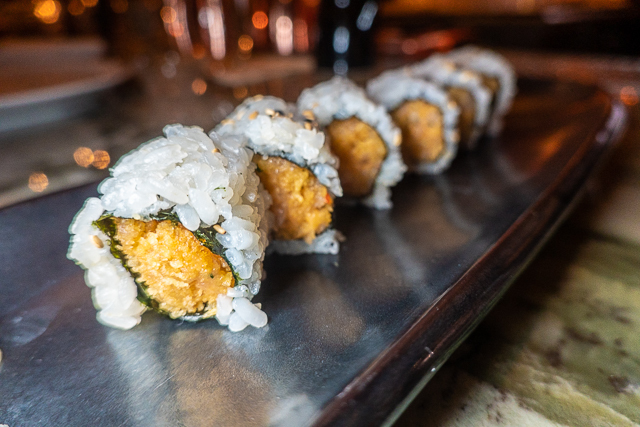 Chicken Legs loves sushi, so he went all in! And some sashimi. He loved it all!! I am not a seafood person, so I got a couple of fun appetizers. These are the tacos - YUM! I can never pass up Bao Buns - I LOVE them!!! 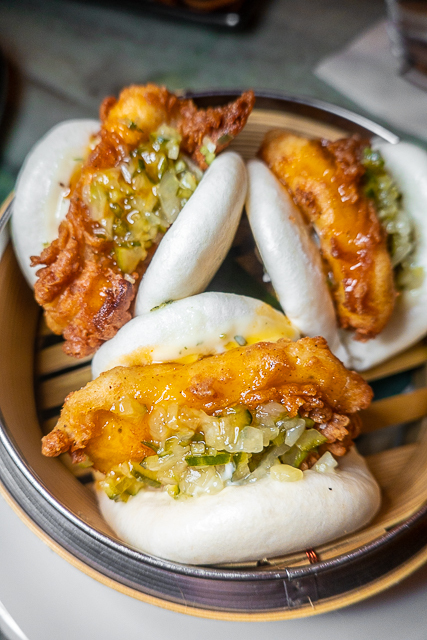 These chicken bao buns did not disappoint! I could not pass up dessert. SO the brownie is on the bottom, next is the Dulce de Leche ice cream, then the chocolate cake and finally the Liquid vanilla ice cream. The waiter pours hot chocolate syrup on top and you hit the vanilla ice cream to break it open. We will most definitely be eating at Catch again in May! I want to try one of their steaks next time. 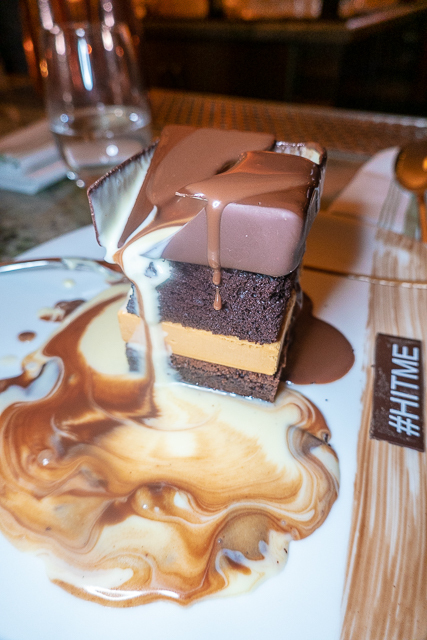 I will also be getting the Hit Me dessert again. YUM! 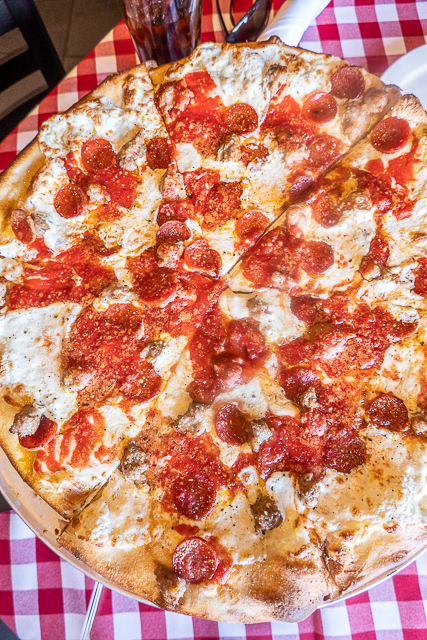 Grimaldi's is a Thanksgiving tradition. We always eat lunch here for the holiday. We got our usual - sausage & pepperoni. I have to admit, this year we are going to have Thanksgiving lunch at Five50. 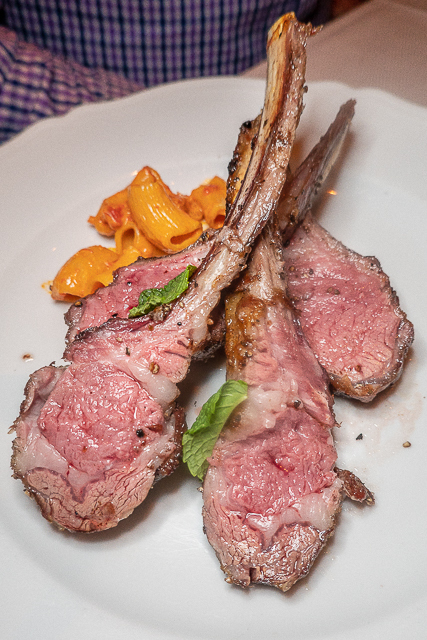 Carbone is my favorite place in Vegas. We dined here for Thanksgiving dinner. It was amazing. 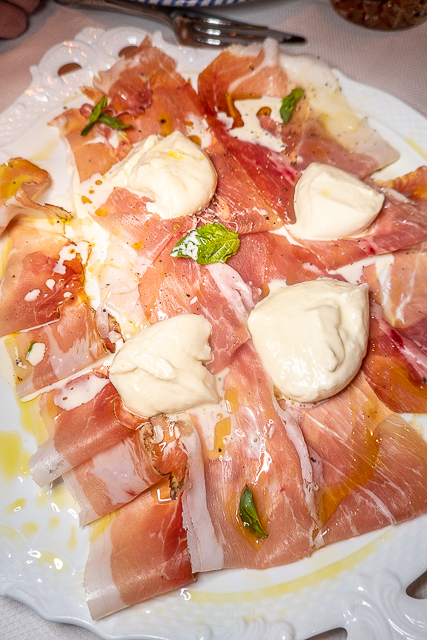 We always start with the prosciutto and fresh mozzarella. It is so delicious. There are three different types of prosciutto - sweet, smoky and salty. I look forward to this dish on every trip. 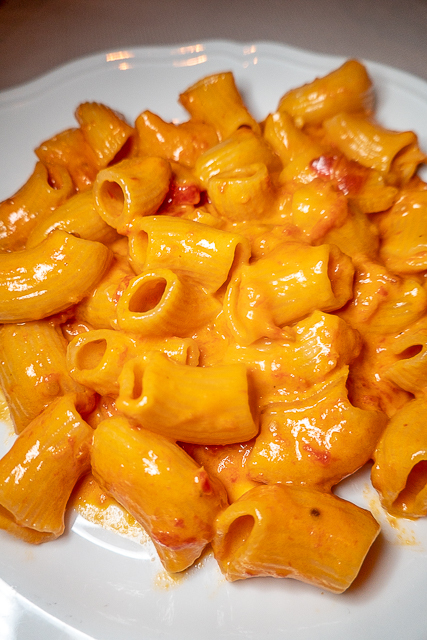 Another dish I look forward to on every trip is the Spicy Rigatoni Pasta. I want to order two orders for myself. I dream about this pasta. 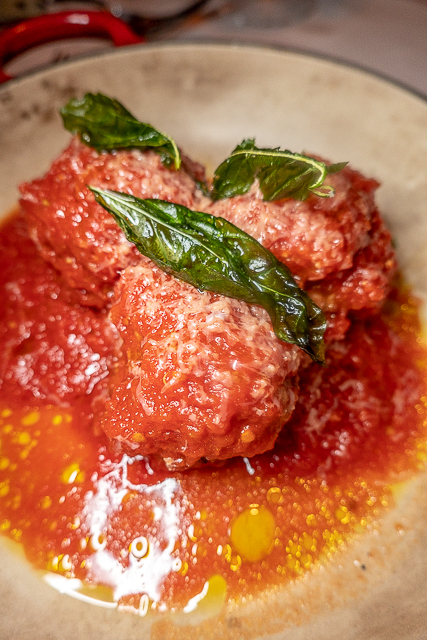 I went off the menu for my entree with Carbone's meatballs. You can order as many as you wish. I got three so I could share with Chicken Legs. Chicken Legs got the lamb. I barely got a picture of it before he devoured all of it. He loves lamb and rarely orders it. 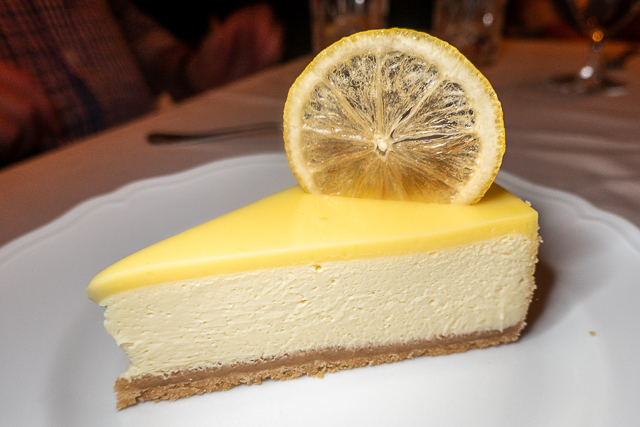 We ended the evening with a slice of limoncello cheesecake. I am counting down the days until we eat here again! We had a late flight home, so we had time to eat lunch at the hotel before heading to the airport. 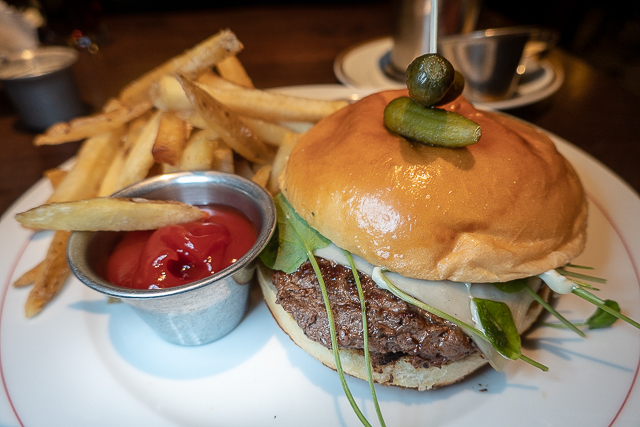 Someone recommended the burger at Bardot Brasserie. We LOVE the burger from the French place at home, so we decided to give it a try. This was our least favorite place we ate in Vegas. The portions were small and EXPENSIVE. The service was seriously lacking. It was pulling teeth to get anyone to come to the table. The burger tasted fine, but not what we hoped for. Bobby's Burger Palace was 1000 times better. 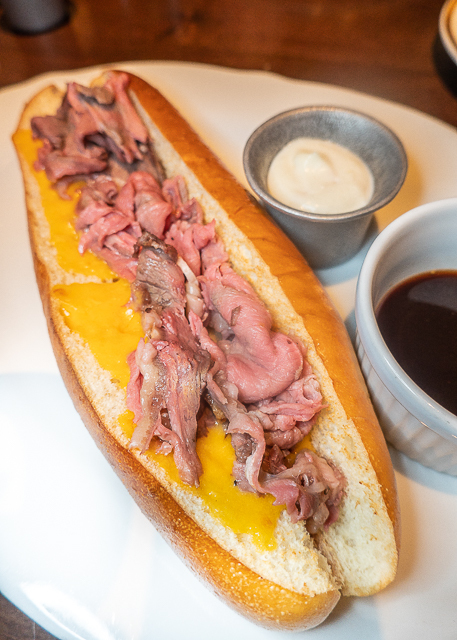 I love a good French Dip, but this was REALLY skimpy on the roast beef. I ended up cutting the sandwich in half and putting all the meat on one half of the bun. It tasted fine, but I can't recommend it. Overall, I would PASS on ever eating here. They do make a good cocktail, so maybe just stop by for a drink. We already have our next trip to Vegas booked! We need some new places to check out on our trip. Leave me a comment with your favorite places!! Rice & Co. inside Luxor...great sushi and they have a seafood curry in a clay pot to share that is to die for. Wolfgang Puck in MGM...anything on the menu is excellent. The BEST...an unknown and recommended years ago by a local: Battista’s Hole in the Wall...on Linq Lane behind the Tropicana. Would post pictures here if I could. Ok - I have always wanted to try Batista’s Hole in the Wall but was scared it wouldn’t be good. It has mixed reviews online. You have convinced me it is good. I am definitely adding to our list for May. 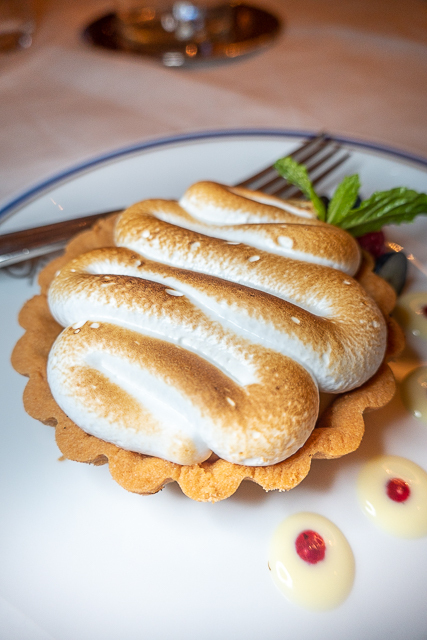 Have you eaten at the Grand Luxe Cafe in the Venetian? 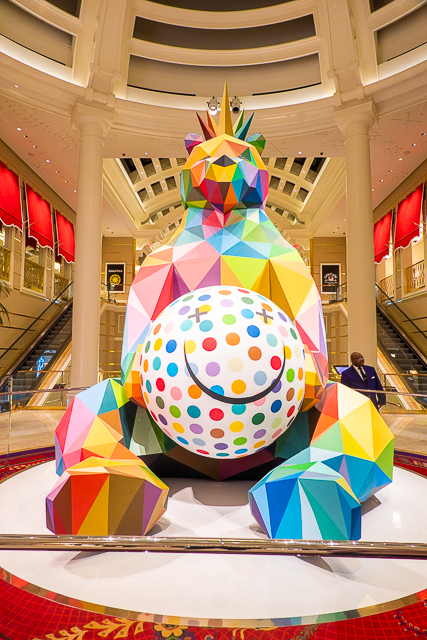 There is also one in the Palazzo as well. It is our favorite for breakfast, lunch and dinner! The potato spring roll are delicious!! The warm butter cake is to die for! And they are open 24/7. We have eaten at the Grand Luxe, but it has been YEARS. We need to go back! I want that warm butter cake - sounds delicious! We went to Vegas for Christmas and just took another trip there this week. We mainly go to eat new foods so we tried a ton of places. The Camelot Steakhouse at Excalibur was much better than I expected. 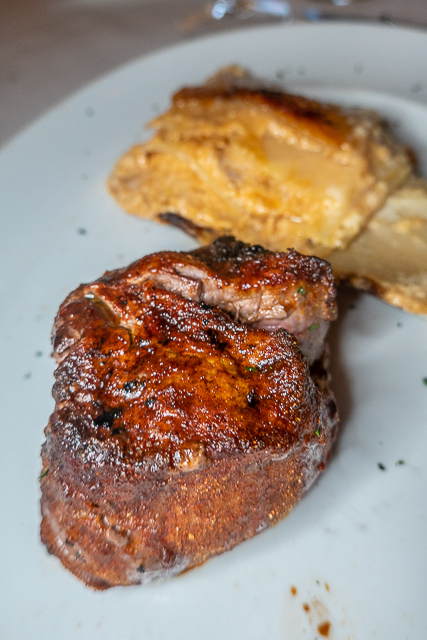 The bacon wrapped shrimp is delicious and the steaks are always fantastic. LVB Burger Bar had really good shakes, the food not so much. The buffet at Caesars was good, loved the huge crab legs. We ate here before seeing Absinthe, which was awesome! For breakfast we always hit Hash House A Go Go and it was good. We found a new place at the Delano called Della's. Really good, pretty expensive for breakfast though, $80 for coffee, water and 2 breakfast dishes. We did breakfast buffets at Excalibur and Tropicana too, nothing outstanding there. Finished the trip with In and Out Burger, it's a must for us Midwesterners who don't get it! Oh! And a Sprinkles cupcake and a trip to Ethel M. Chocolates. YUM! Our Vegas trip would be EPIC! We go to Vegas at least once a year so I love these posts! We'll have to try Catch for my 40th birthday in June. You have got to try CUT! 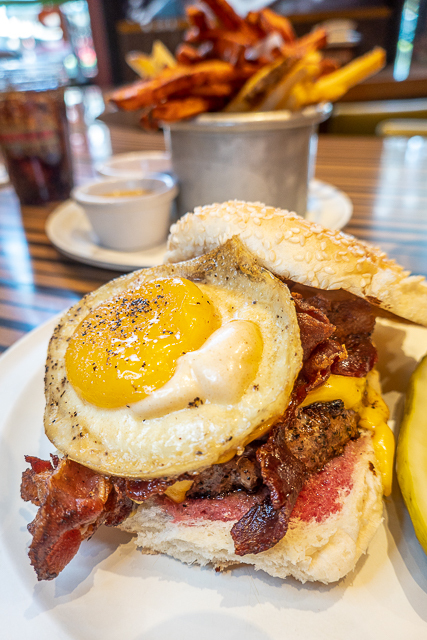 We also love Giada at the Cromwell and the Burger Bar at Mandalay Bay. We really loved Catch. I highly recommend it. 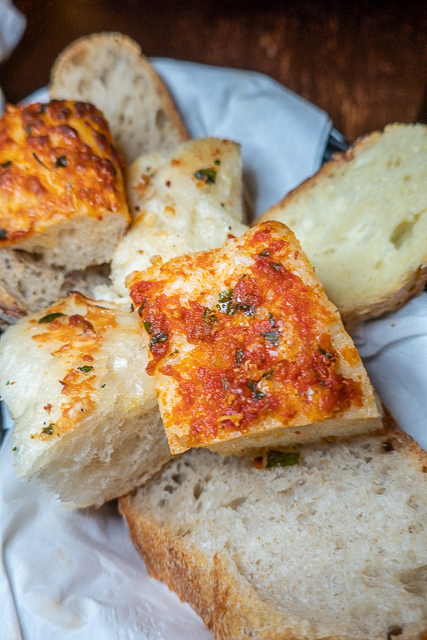 Giada's is always on the list, but we never end up going. I will have to make an extra effort to get there next time! hi stephanie! long time reader first time comment! 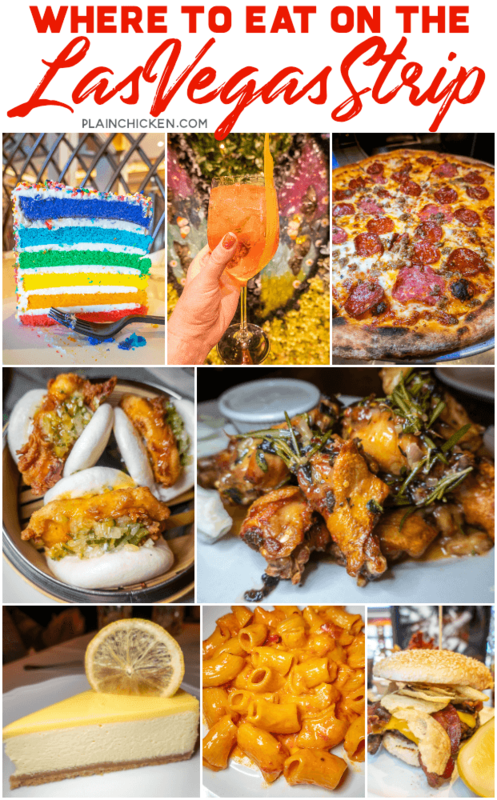 i live in vegas and have only tried a few of these so thank you for the list! hubby and i joke all the time that it takes our friends and visitors to tell us where to eat...and we live here...lol! 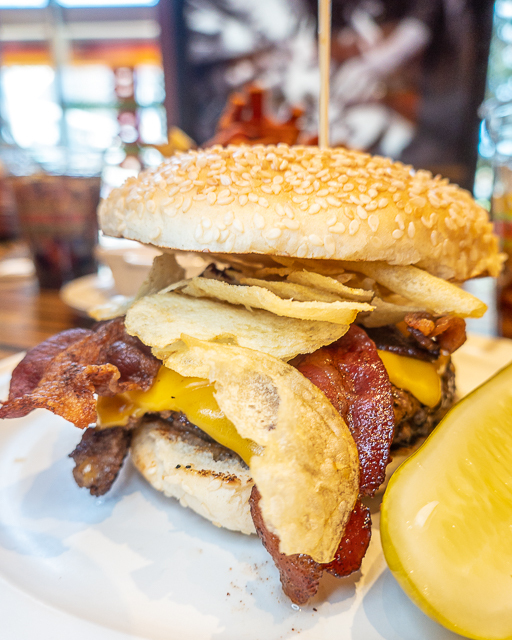 we tend to stick to places off the strip, obviously, but wanted to add my two cents just in case...if you ever want to venture off the strip just a bit i highly recommend burgerjm. they are a cute little burger joint specializing in sliders only. and boy are they super yummy! they have several varieties and you can order 2 or 3 so that leaves you the option to switch them up and try different kinds. hubby is an eater, and he loves his burgers, but having 3 of these bad boys fills him up completely. and their fries are great too! i don't know about you but one of the things we judge a burger joint on is there fries, and this place scores. they come shaped like quarters, round, but there are SO many, it's crazy good! anyway, just wanted to share that with you....also...for pizza on or off the strip we go to giordano's. hands down the best chicago style around that area. i think the one on the strip in located in the shops in front of bally's near wahlburgers.